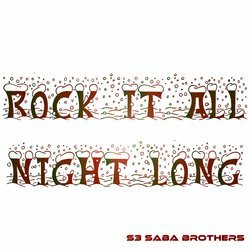 The Saba Brothers have just released their new Christmas single Rock It All Night Long. Following on from the overwhelmingly positive reaction to their last two singles Walk Away and Life’s A Journey, the Saba boys are back with this good time festive foot-stomper. The song is a fresh sounding take on Christmas, with its focus firmly on the healing power of music and the amazing potential for a song to bring people together during the holiday season. The Saba boys’ latest tune takes them into new territory with a stylistic detour that only serves to showcase their burgeoning talents. Rock It All Night Long is sure to further endear these Sydney-siders to the rest of the country. Rock It All Night Long is available for download now.